We Repair Tablets of all brands. We can fix any faults or problems such as Tablet cracked screen replacement, restore Tablet to factory settings, initial setup of the tablet, battery replacement, Tablet charging connector repair. Some brands of Tablet we can repair: Google, Microsoft, Samsung, Sony, Lenovo, Amazon, Apple, Asus. 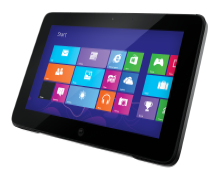 Tablet Operating systems we can fix: Android, OS X, Windows.